You've seen the headlines: "The Great Wealth Transfer Has Started". As the Baby Boomer generation ages over the next several decades, a reported $30 trillion in assets is forecast to be transferred to their Gen X and Millennial children. Advisors and providers face unprecedented challenges and opportunities to keep these assets "in-house". 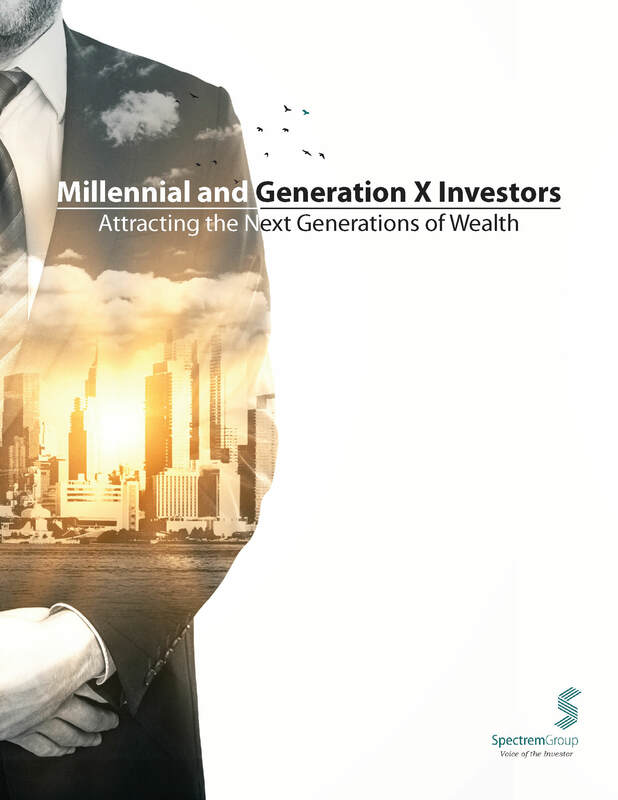 This illuminating report profiles the Generation X and Millennial investors and provides invaluable insights that will help empower you to bridge the communication gap with the next generations of wealth. Generation X households are entering their prime earning years. Millennials are at the beginning of their careers. What do you need to know about the financial attitudes an behaviors that influence their investment and money management decisions? Discover who makes the financial decisions in these households. How do they differ from other generations? Uncover their current advisor use and which types of financial advisors they prefer. Increase your knowledge of which situations would likely compel the to consult with a financial advisor (if they have not previously done so). 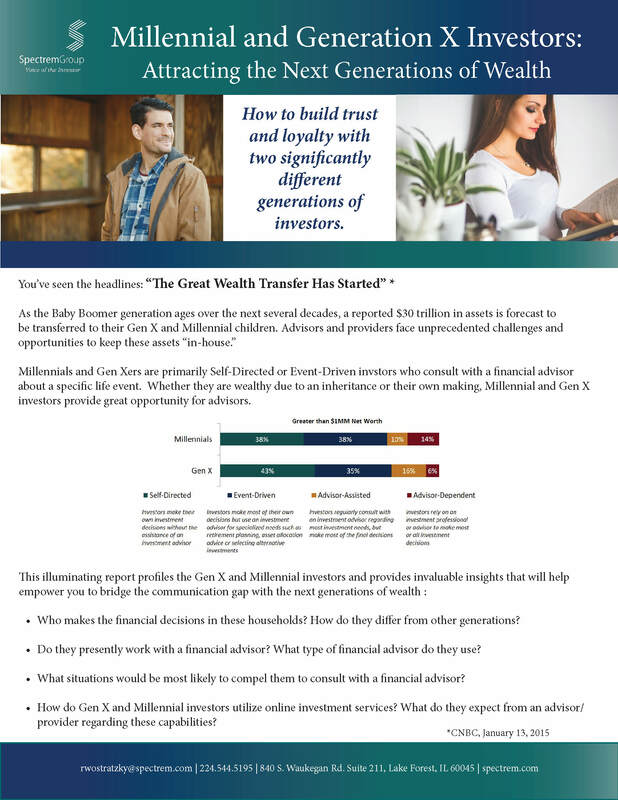 Gather insights into how these next generations of wealth define "trust" as it pertains to the financial advisor. Create better marketing and sales materials to target these sought-after clients with better insights into their use of social media for financial activities and what they consider to be the most effective educational outreach.